When I heard back from Victoria, at Lylia Rose, that she’d like me to feature one of her items on my blog, I was thrilled! 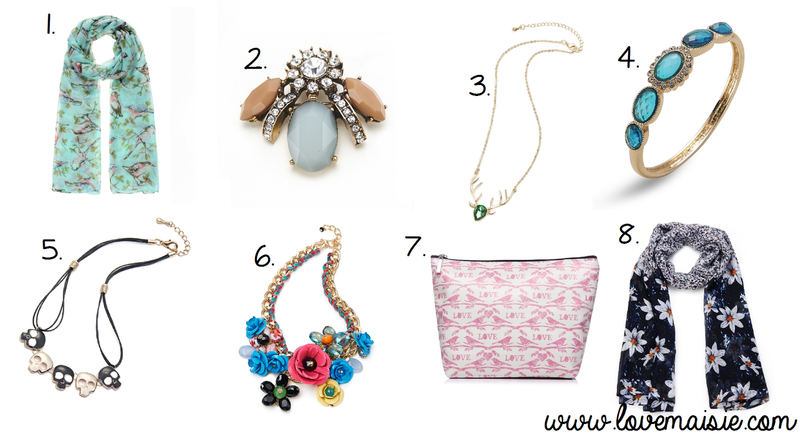 Lylia Rose is an online boutique that’s filled with an exciting mix of scarves, purses/make up bags and jewellery! Founded by the lovely Victoria, blogger and mummy of two, who has managed to build up her business and fill her website with some really gorgeous pieces! 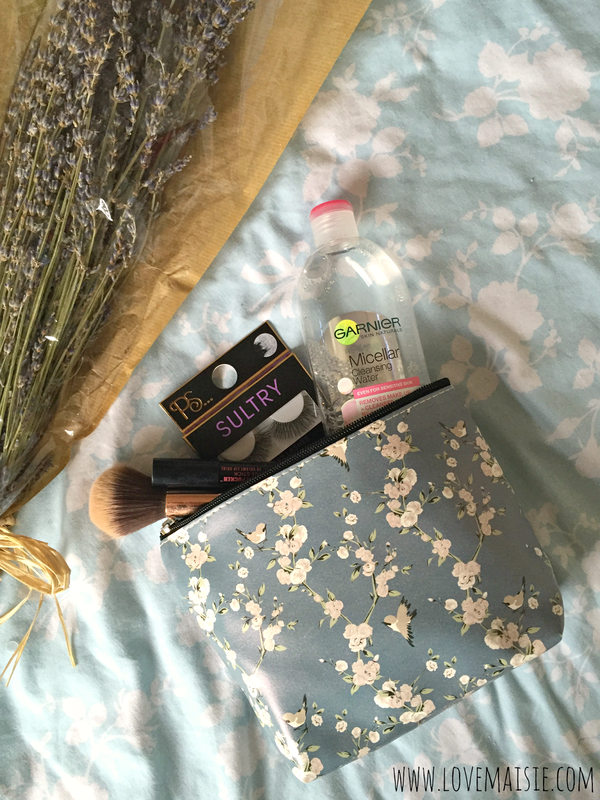 Like this blue, floral, vintage inspired make up bag! Not only is this make up bag gorgeous, but it’s pretty darn sturdy too! I honestly don’t know how to pack light when it comes to make up and cosmetics, because what if I do need both cleansers and five different lipsticks for a two night stay away? I managed to pack a questionably unnecessary amount of cosmetics into this little makeup bag, to the point of almost bursting, but it powered through and there were no mishaps(no one wants to deal with a broken zip!)! It’s actually quite surprising how many items I managed to get in there! I really adore the print on this bag, don’t you? Lylia Rose only stock between one and six of each of the items on their website, but fortunately, there are still a couple of these make up bags available to purchase! You can even bag yourself 20% off by using my code LoveMaisie at the checkout! You can use my discount code site wide! I’ve made a little collection of some of my other favourite items that are currently available to purchase from Lylia Rose! Something else that I adore about Lylia Rose is that 2.5% of all their sales go towards The Grand Appeal, The Bristol Children’s Hospital Charity. How fantastic is that! You can treat yourself to a gorgeous new accessory and help out an amazing cause too! The price’s on Lylia Rose are all amazing, ranging site wide from around £3.99 to £15, which for what you’re getting is amazing value for money! Just look at the jewellery, to die for! Will you be making a purchase today? Remember to use my code LoveMaisie for 20% off your order! Oh, did I mention that they offer free UK first class delivery and also have EU shipping options available! Will you be snatching up one of the last of these gorgeous make up bags? Let me know! the make up bag is so super cute. i love the dainty print.